​There's just something that happens when ​doing creative work in the office​ that usually leads to creating an epic mess​. ​But as many experts will tell you: a clean office allows you to work more efficiently. It's certainly a battle between the two. ​So maybe the solution is finding creative ways to stay organized. 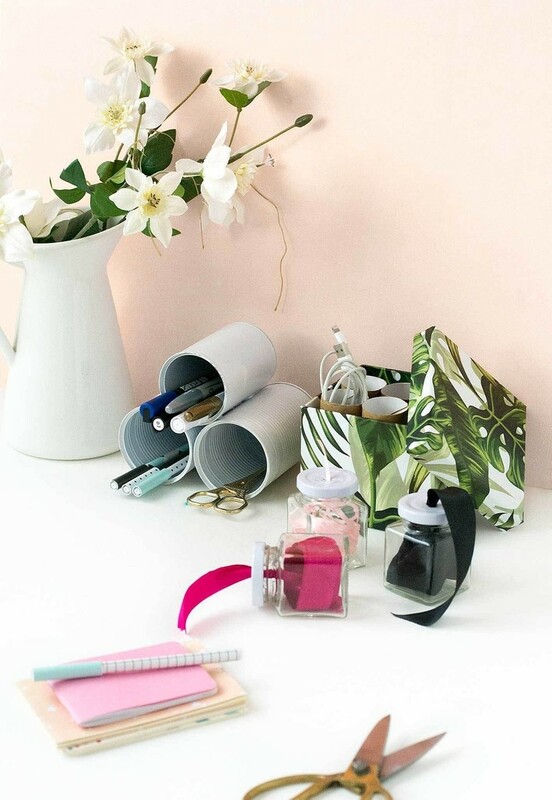 We put together a list to organize your office and your life in fun ways. Because if the process​ is fun then there's a better chance you'll ​stay organized, right? ​White boards should just be called "Plain" boards. Sure, they're functional, but why can't we be organized and trendy at the same time? I'm glad someone finally solved this dilemma with these super awesome custom dry erase boards (and super easy to make). ​Simple and effective. We use this little technique all the time in interior design to label things on the fly. 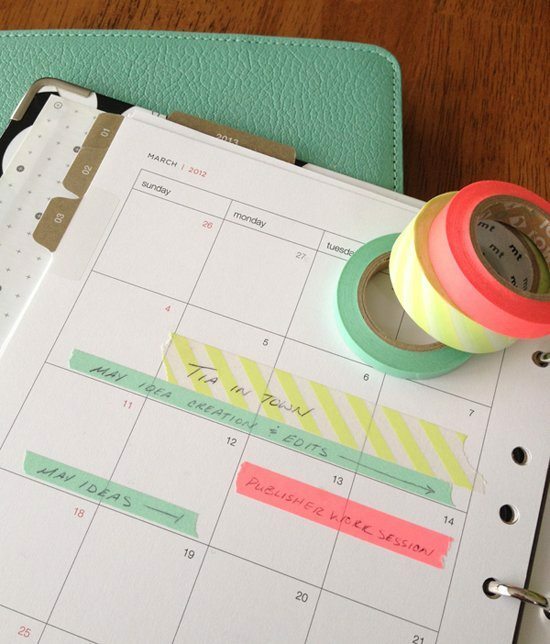 You don't have to stop at the planner: you can leave notes around the house, calendars, notebooks, or whatever surface it can stick to. 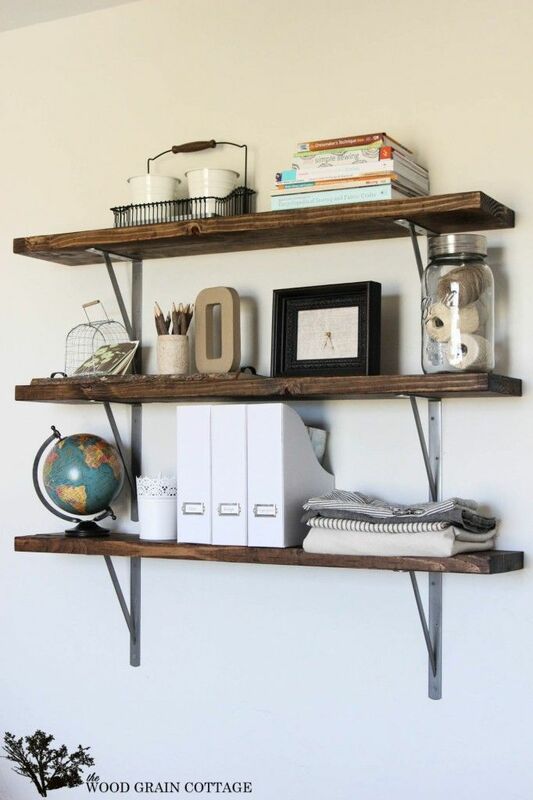 ​It may be just a shelf, but it also has some cool rustic charm to make your office look more stylish. And if you have clients coming in and out then a little presentation​ can go a long way. 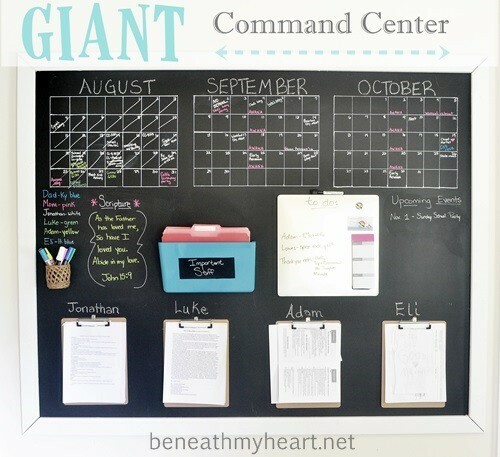 ​We've covered some cool little organization projects, now let's go with something massive - like a full command center. If you're running a business from home or from the garage, I can't tell you how awesome this is. It'll not only help you out, but anyone else who is working with you. ​I love Ikea hacks, to me it's like adult Lego. 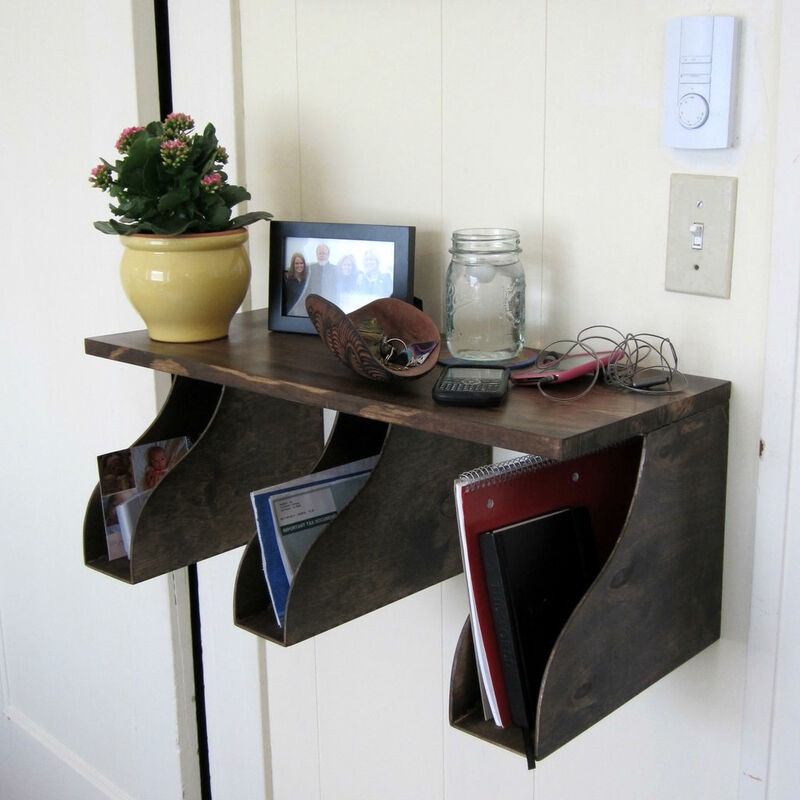 And look at this brilliant design, it's got a cool rustic counter top and file organizers on the bottom. 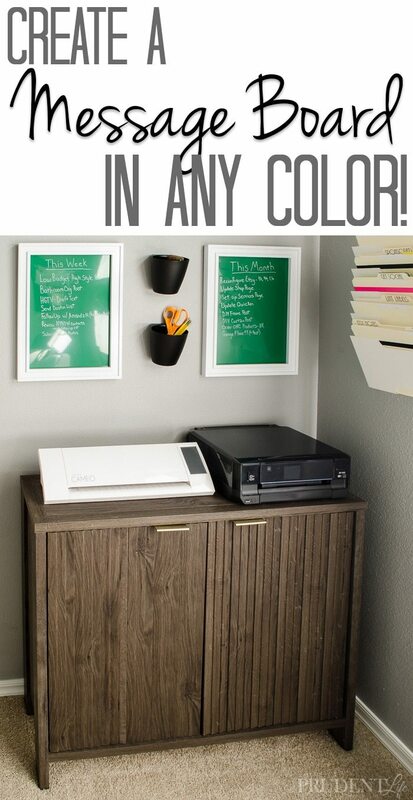 There's not much else to say other than how useful this might be in your home office. ​I know this is meant for kids, but... 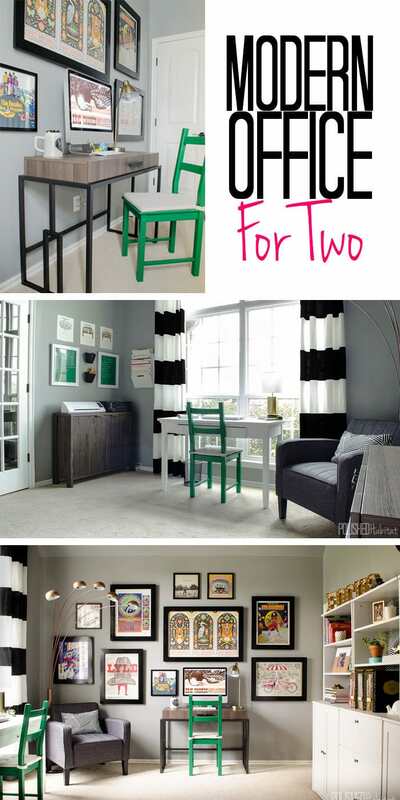 I'm seeing a whole bunch of great ideas for adult working spaces as well. 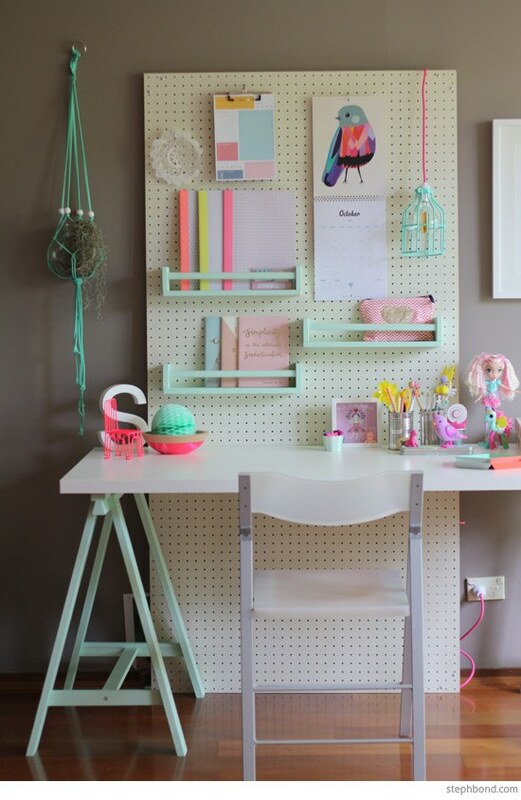 Especially the peg board, which would be a perfect station for any crafts, art, or hands-on work. ​Back again with another Ikea Hack. You may notice this website is in German, so I'll do my best to translate what is happening here... This is actually a Bed Slate used for a bed frame, and you can buy ​it from Ikea (and cleverly hang it on your wall). 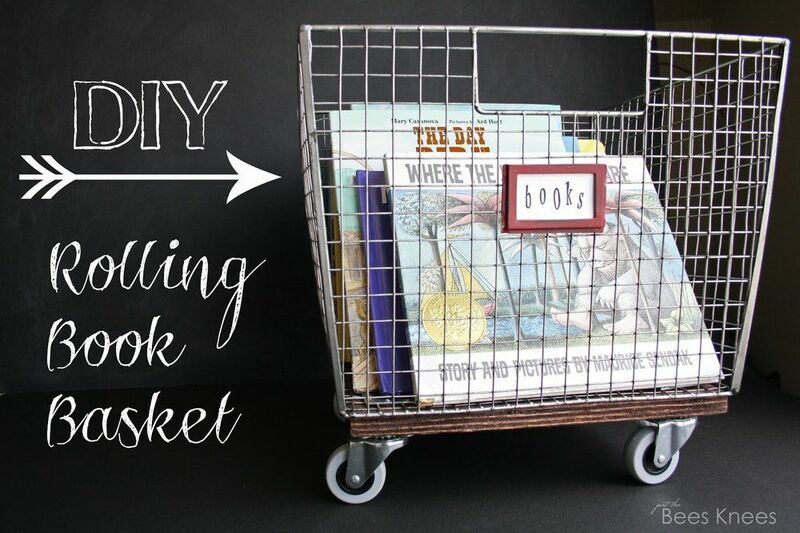 Then just get yourself an assortment of hooks and baskets to hang off the slate. ​Super simple ideas that make your life easier. And this is one of those things that you'll thank yourself later. I have a mess of cables behind my desk, and an assortment of USB cables that I often have to rummage through. ​This is less of a project and more to get the organizational part of your brain going. 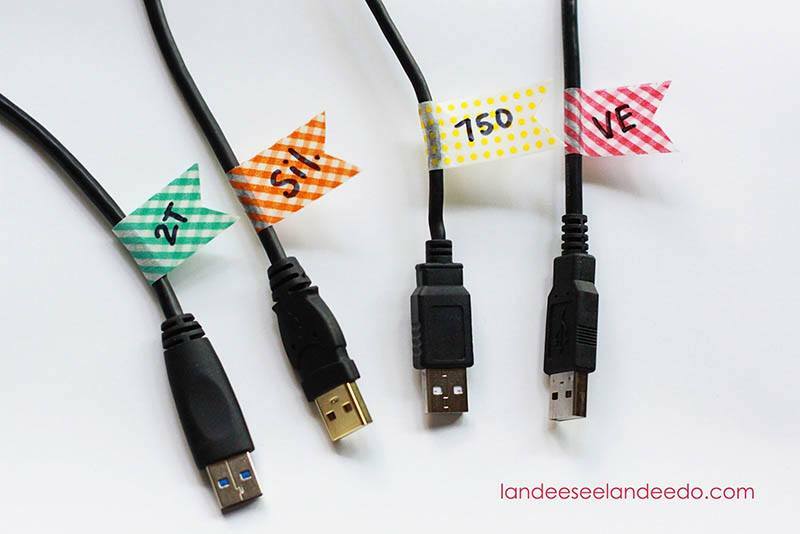 Check out all these labels, files, and fun colors. If your shelf looks anything like mine th​en it doesn't look this clean and clutter-free. 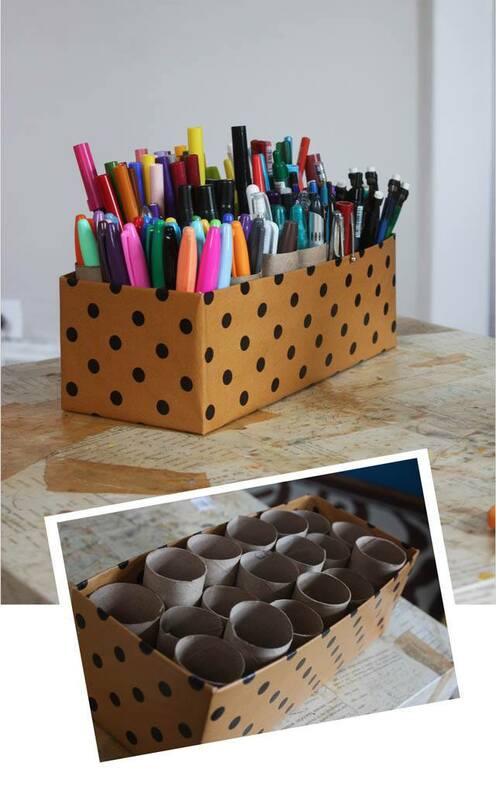 But with some colorful creativity you might be more inclined to stay organized. 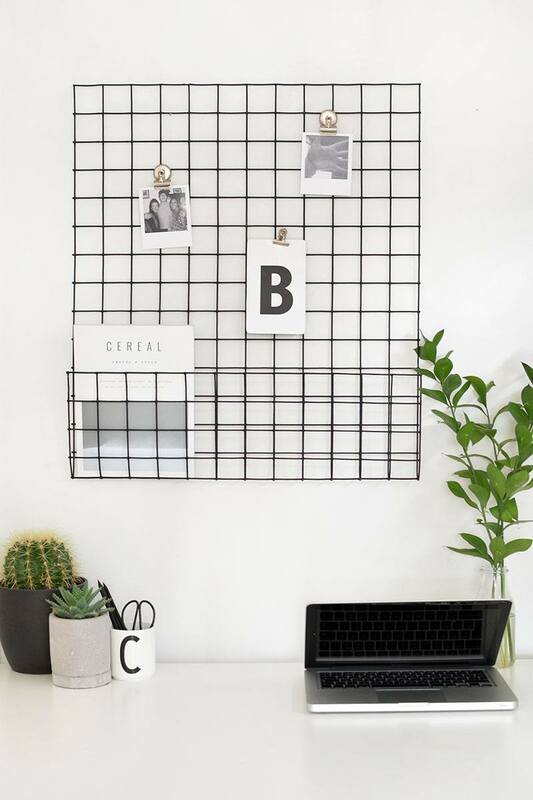 ​We've covered a Peg Board, but what about this super trendy wire grid? 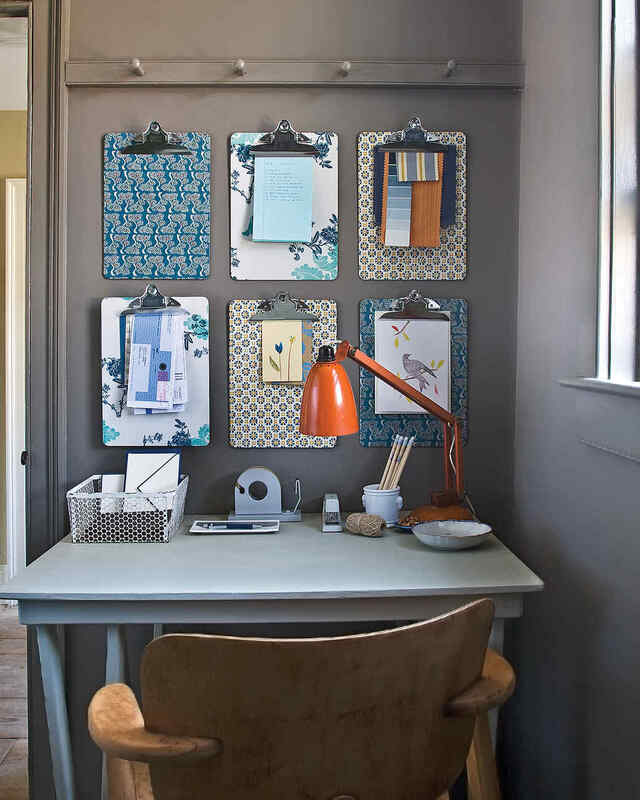 It looks very modern and allows you to be quite creative in what you hang (not to mention it's also magnetic). ​Again, this is a list of a bunch of fun little office hacks to get you back to organized. Drawer hacks, pen organizers, cable maintenance, and clutter destroyers - it's all here for you to try out on a small budget. ​Clip board artistry by none other than Martha Stewart. ​If you work in a warehouse or office than clipboards are often a way of life. This is especially good for my employees who each have their own clipboard they use daily, and how cool would it be if they each had their own cool design like this? 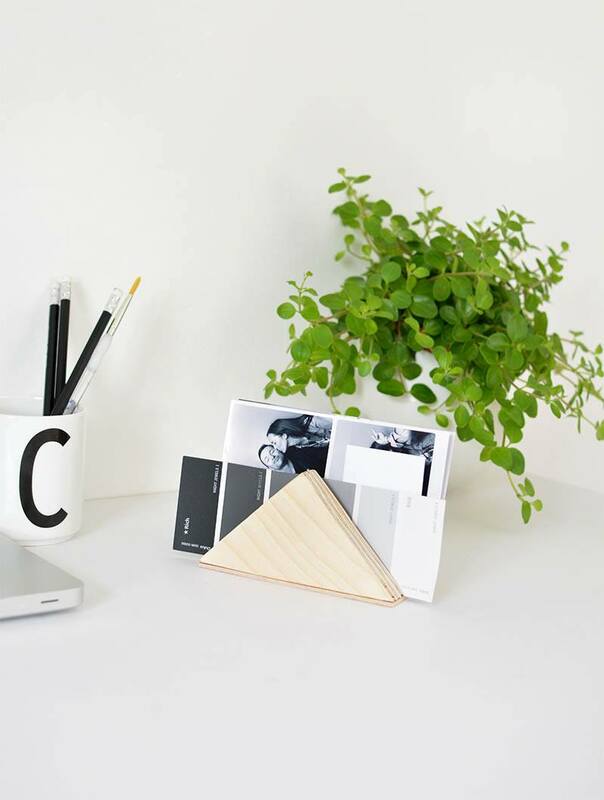 ​A super simple little file organizer, and don't worry - you won't need any expert building skills to make this one. 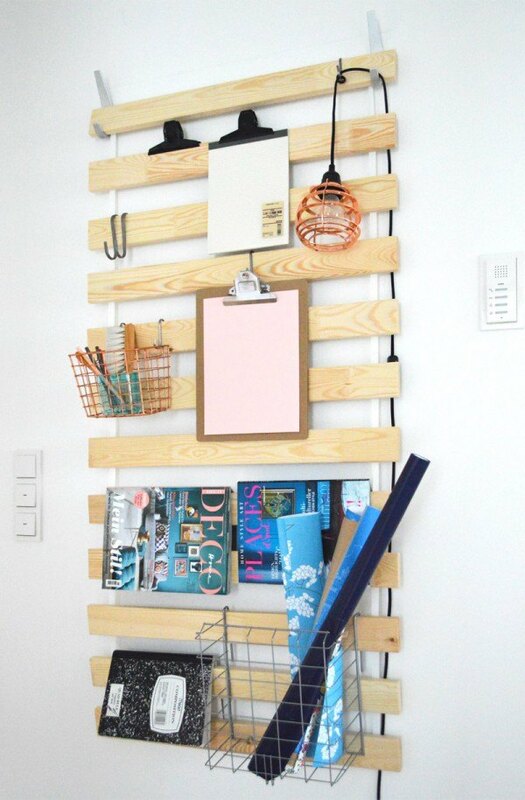 It's a few pieces of wood glued together, but it adds some ​modern looking organization to your life. 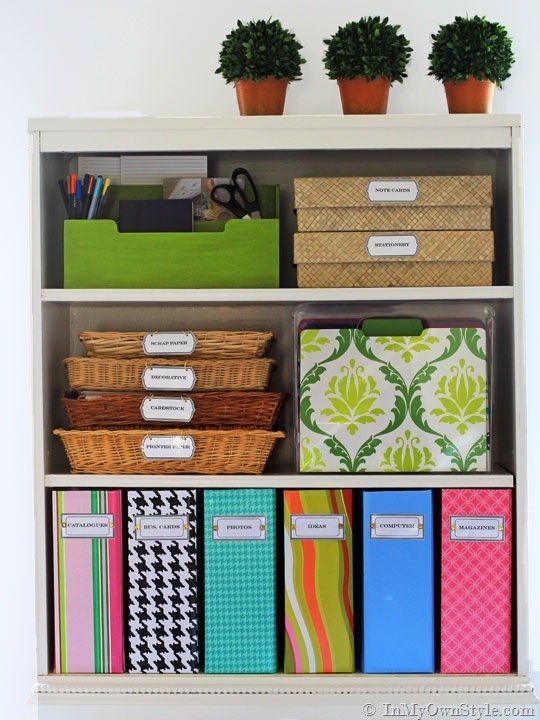 ​Will this help you get more organized? That's debatable. 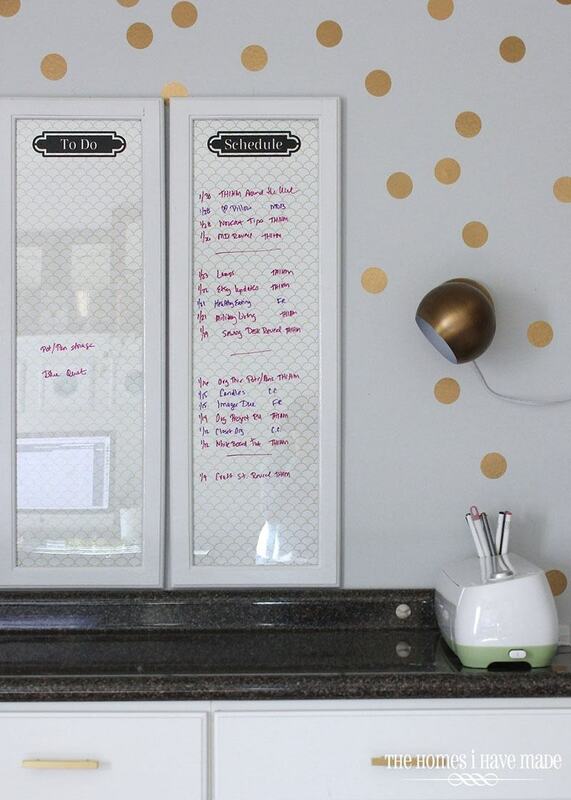 But it looks super cute, and maybe that'll be enough to motivate you to stay more organized. These are your typical storage boxes transformed into superhero organizers. 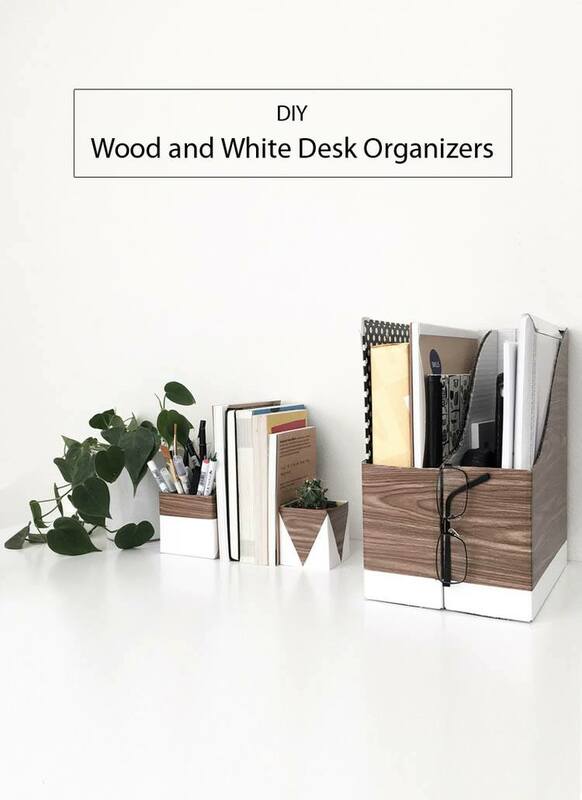 ​Super clean and modern organizers for your super clean desk. I love this wood grain look, but most of all I love how easy this is. These are your typical file sorters from ikea, with a little glued on ​wood contact paper. ​On the move? Maybe you need your books and files to roll with you? A minature shopping cart for all your mobile goods is what you need in your life. If you're working in a little art or craft station, then let me tell you: this is a life saver. ​Universal message boards are a life saver in any circumstance, whether it's in an office of in a busy family home. I'm such a fanatic of these I have one in our kitchen, bedroom, home office, and my office at work. But you know what? I never miss anymore messages - so there. ​We finish off not with a specific project, but an entire office renovation. As you look through these try and pick out ideas that would improve your life. Make your office feel like your home, or somewhere you want to spend time. And think of ways on how to keep that space looking it's best. That's what this is all about.